Exercise and participating in healthy activities is important at all ages. For seniors, however, it is especially important because after retirement your life starts to slow down and your whole daily routine changes. Good news is there are a lot of options (for people of all ages) to help keep an active lifestyle in your new routine. This article helps you get the ball rolling to plan how to keep an active life after retirement and highlights the benefits of doing so. 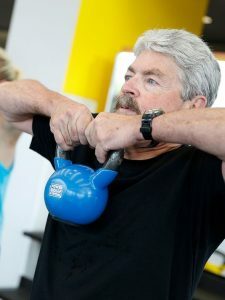 Some people are planning ahead for their physical fitness in retirement just like they plan for their financial fitness, says one of the country’s top national diet and exercise experts. And that’s as it should be, he says. If you start a few years before retirement, says James Hill, executive director of the the University of Colorado Anschutz Health and Wellness Center in Aurora, Colo., you’ll be ready to go when you do retire; most people can make a lot of progress toward getting in better shape in a matter of a few months. “We are getting more and more people coming to us to prepare for an active life in retirement,” says Hill, co-author of State of Slim: Fix Your Metabolism and Drop 20 Pounds in 8 Weeks on the Colorado Diet. • Popular fitness activities among retirees. The main ones we see are hiking, biking, swimming and taking various exercise classes — for example, Zumba. Yoga is very popular. And many want to continue playing tennis or golf or even soccer or hockey. While many of those retiring are already in pretty good shape and want to “tune up,” we are also seeing many who are overweight and out of shape making a decision to lose weight or to get fit. • The biggest mistake retirees make when it comes to trying to get fit. The biggest mistake is trying to do too much too soon. This is especially true in those who have decided they don’t want to be overweight and unfit any longer. They didn’t get this way overnight, and turning this around takes time and motivation. You have to really know why you want to do this. We often find one spouse who is overweight and not fit deciding that they don’t want to get left behind in retirement by their lean, fit partner. • The danger of too much sedentary time. We now know that the time you spend being sedentary (primarily sitting) can have a negative impact on your health. If you are planning your retirement to be mostly sedentary, realize that this will increase your risk of weight gain and of developing chronic diseases such as diabetes and heart disease. You don’t have to overdo it with activity, but don’t overdo it with sitting either. • His best advice for retirees. It’s all about quality of life, and the retirees we see who have committed to active living seem to be happier than those who do not. It is never too late, and don’t be discouraged if you are overweight and unfit. You can totally remake yourself over a period of several months. Pay attention to your diet and your exercise but also to making sure you sleep well and manage stress. Many wellness centers such as ours can help. • His best advice for pre-retirees. Make a plan for getting from where you are right now to where you want to be in terms of fitness and work toward that goal. If you start a few years before retirement you will be ready to go when you do retire.